InterCasino is operated through Dumarca Gaming Ltd, from Malta and it’s a casino that has been running since 1996. The site is operated under the rules of the Malta Gaming Authority (MGA) and those of the UK Gambling Commission, both excellent choices for an online casino. You have access to the casino in English, which will be the option that most will go for, but with variants in German and Japanese as well. Players are going to be able to use US dollars, British pounds or Euros as the main currencies. I think that you will find their site quite easy to use, with a clean look and without too much empty space. The major game categories are all listed at the top, some of their promoted games are lower, the links to their major promotions are next, and then at the bottom you will find links to some of their T&C pages. If I would have one comment to make, it would be related to the option to change the language, which they’ve stuck at the bottom of the page, rather than at the top like other casinos do. InterCasino’s software comes from Amaya/Chartwell and Cryptologic. They added games from several other developers as well though, including the likes of Microgaming, NextGen, Betsoft, IGT or Leander, and so in total they have over 800 titles in all big categories. The platform is accessed via browsers, so there is no software to download. All the important game categories can be found at the top, right below the logo of the casino. Whether you want to see All Games, or you want to dig down and find the Slots, Blackjack, Roulette, Table Games, Video Poker or Live Casino content, those options are available to you. In terms of variety, there is a lot of it for you to enjoy. There are enough developers present that in terms of slot machines you shouldn’t be missing anything. The collection includes a decent number of comic book branded titles, based on the DC Comics franchise. You have nothing to worry about when it comes to the fair play of the casino. They’re considered the first ever online casino and they’ve built up their reputation over the course of the last two decades. They treat their players well and the company that owns the casino has more than 4 million registered players right now. Players are protected through the gaming licenses that are used, through the SSL encryption that is in place and other measures designed to protect the information of the players. The first promotion that you’re getting consists of 10 free spins, which are offered just because you’ve signed-up, no deposit needed. It continues with the promotions that are designed for players that make a deposit of $20 or more, with a match of 100% and up to $300 available for each of the first three deposits. In total, you could get up to $900 in bonuses, along with an extra 100 free spins. You have 20 free spins after the first deposit, and then every 3 days you get another 20 spins at a different game. In total, in the 12 days following your deposit you get access to 5 different games for free. The wagering requirement is at 40x the bonus amount. 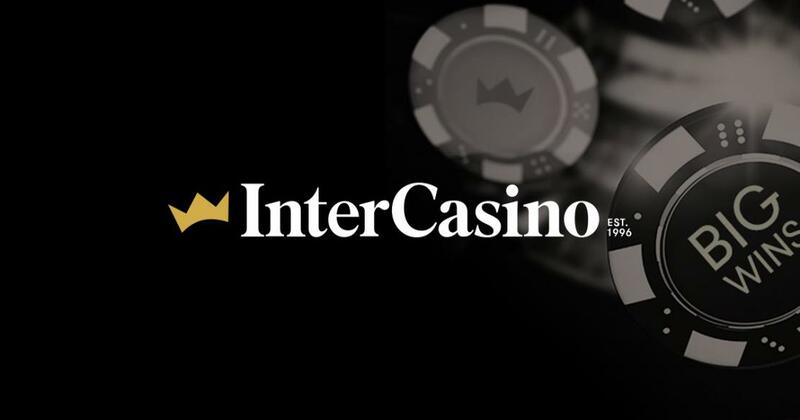 InterCasino continues to offer impressive promotions after that, such as the four weekly leaderboards and four raffles, which have payouts of up to $20,000 to give away. Other promotions are designed by the casino to attract players, and they are changed on a monthly basis. There is also a link to their previous promotions, if you want to see all the goodies that you missed out on. The InterVIP area is going to be a place where privileged players are invited to, an exclusive place where membership can be lost, being reviewed again on a monthly basis. Only the worthy are accepted there, and it’s going to offer invitations to events from all over the world, exclusive promotions and more. When it comes to Customer Support, everyone reports only great experiences with the InterCasino staff. They reply quickly to emails, typically in under half an hour, and there are also options for live chat. They have 24/7 support and they won awards based on the popular vote multiple times in the past for the quality of their customer service.